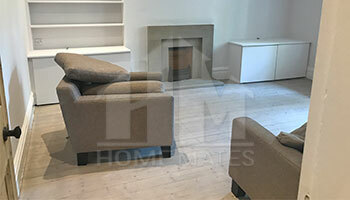 Choose reliable and guaranteed end of tenancy cleaning service in Ealing, W5 with HomeMates. Give us a call now and get an instant free quotation! We will take care of every detail, leaving the premises in perfect condition. In addition to that we have put really moderate prices so that every person could take advantage of the end of tenancy cleaning procedure. If the time for moving out of your place of living has finally come, you know that you need to handle with a lot of procedures and preparations that could turn out to be really stressful and unpleasant. You are probably well aware of the fact that you need to provide the end of tenancy cleaning procedure before moving in another facility. This is a time consuming cleaning procedure that requires a lot of efforts and that should be implemented according to strict regulations and standards. For that reason, very often, many customers feel that they cannot manage with all the things and turn to professional cleaning services. We want to introduce you one very successful cleaning company that can be considered one of the leading ones on the territory of Ealing that provides cleaning services in an immaculate way. One of them being the end of tenancy cleaning is performed very carefully, as we understand its importance. We promise that your deposit will be turned back and that you won’t experience any problems with this procedure. We assure you that you are in the right hands, because our professional team of cleaners is more than determined to clean every corner of the premises and to make them look fabulous. We offer you full sanitizing and providing of a high level of hygiene which is very essential. In this way the facility is prevented from the spreading of germs and bacteria that could lead to very unpleasant consequences for the next inhabitants. The competent cleaners in Ealing will be happy to explain you every detail of their work before they start with the procedures and to listen to your expectations and concerns. We want to inform you that we rely on thoroughly safe cleaning products that have guarantee to be eco friendly. Apart from this, the other cleaning equipment is the most modern on the market and is the most suitable for implementing even the most complicated cleaning procedures. End of tenancy cleaning will no longer be a tedious and unpleasant procedure that you should perform on your own. Unlike other cleaning companies we do not want to put extremely expensive prices on the cleaning services. For unique end of tenancy cleaning do not hesitate to contact us right now because we want to show you our latest cleaning technologies and approaches that we could apply. If you require any further information we will be glad to assist you, thanks to the call centres that are ensured by our prestigious cleaning company.